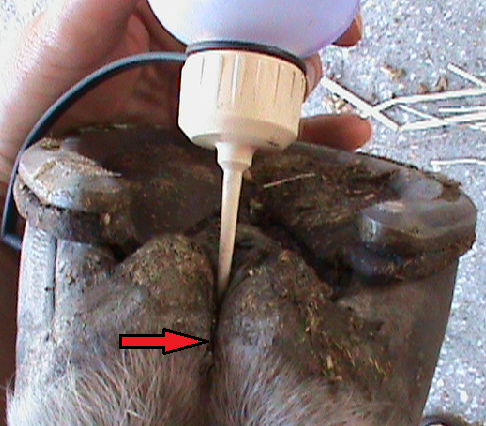 In-between the bulbs, central sulcus or the heel of the hoof. If you see a crack in this area, it was caused by thrush. 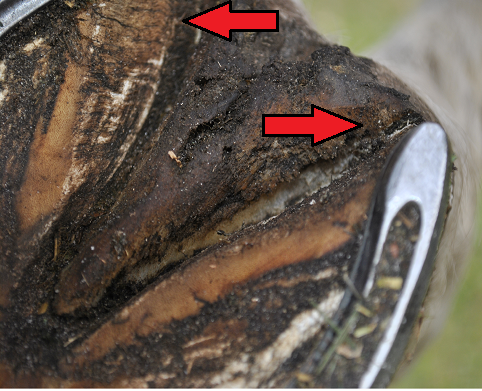 The deeper the crack, the longer it will take to heal (sometimes months) generally a horses hoof takes a year to grow from top to bottom. 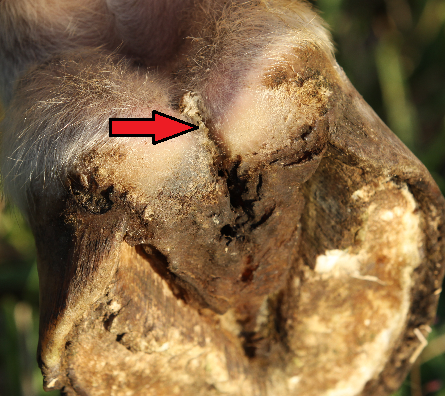 Even with pads, horses can get this heel crack. 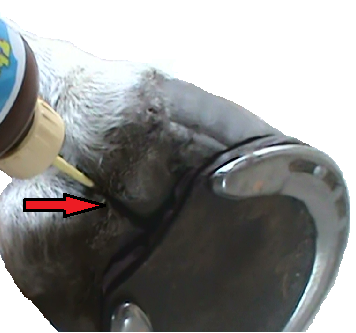 Caution - when treating the bulb/heel crack with typical applicators the remedy dries and closes up the top of the crack leaving a pocket of thrush underneath. If you can't seem to get rid of this crack or it keeps coming back, it's because you have not killed the thrush from the inside. Deep in the corners of the collateral groove or clefs. This is the area towards the back by the bulbs and is the deepest part of the clef/groove. Pick out this area well to prevent thrush. Egg Bar, Slide Plates and specialty shoes cover the deepest area of the collateral grooves, making it difficult to pick out underneath them. 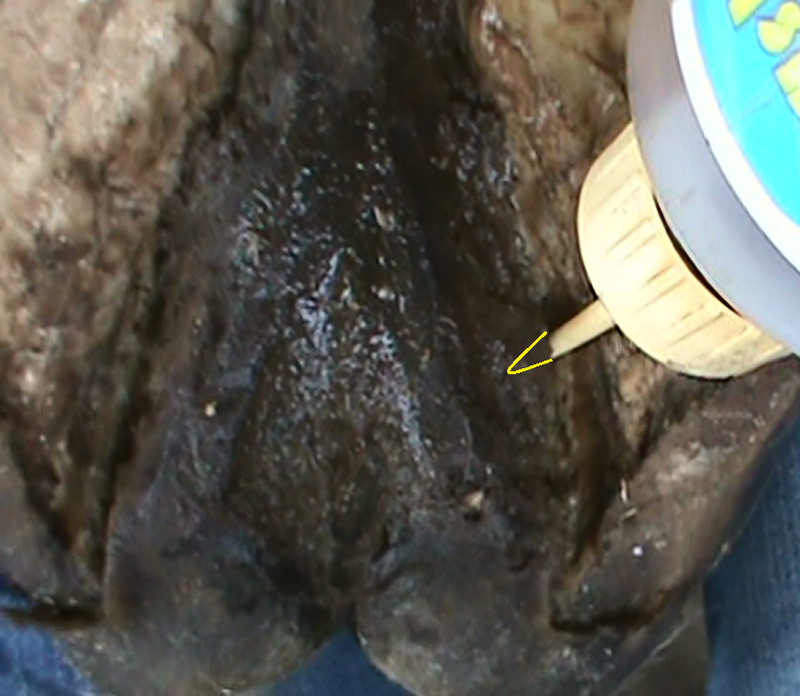 No less, using typical applicators makes it impossible to treat this area accurately for thrush. An uncommon sneaky place is under the frog creating a "lip". At the bottom of the clef where the frog meets into the hoof, thrush eats under the frog and creates a lip. 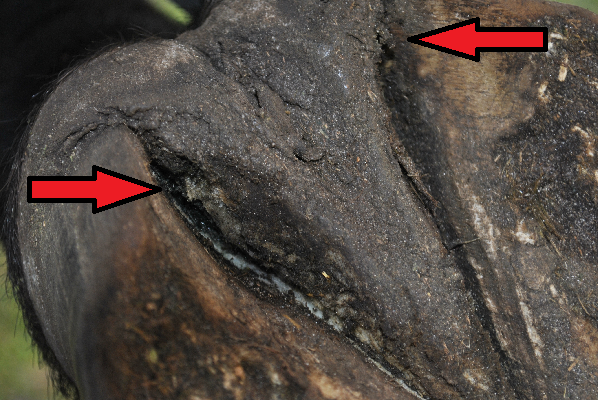 It looks normal, but you will notice the tip of the hoof pick disappearing under the frog while cleaning. Treat continuously and precisely for thrush, until the lip is gone. 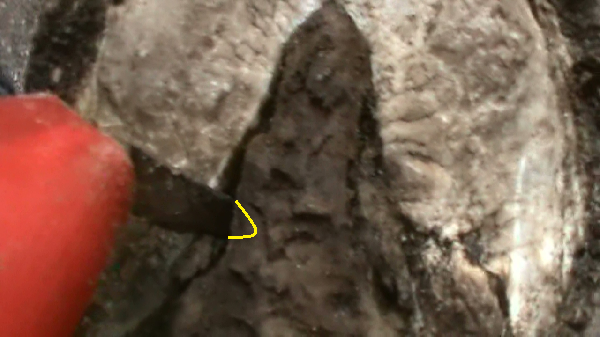 Outlined (in yellow) is the rest of the tip from the hoof pick and the Thrush Tip applicator to show the dept of the thrushy collateral groove/clef going under the frog. To learn more about thrush click here.